Nepal, a gorgeous country, is famous for its majestic mountains, magnificent landscape, rich culture and amazing hospitality of people. 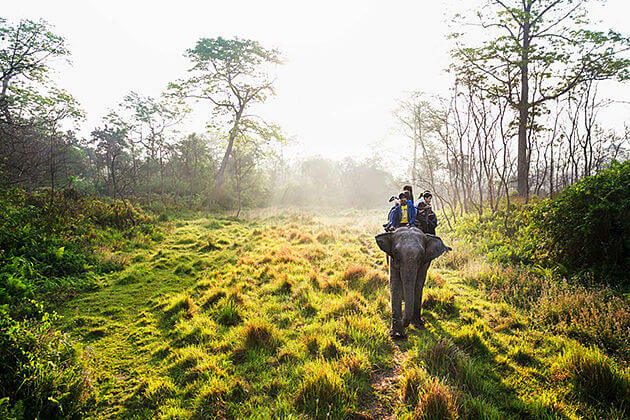 Exploring a new culture, witnessing picturesque sceneries, digging in Nepali traditional cuisines will undoubtedly be the best experiences of a lifetime. 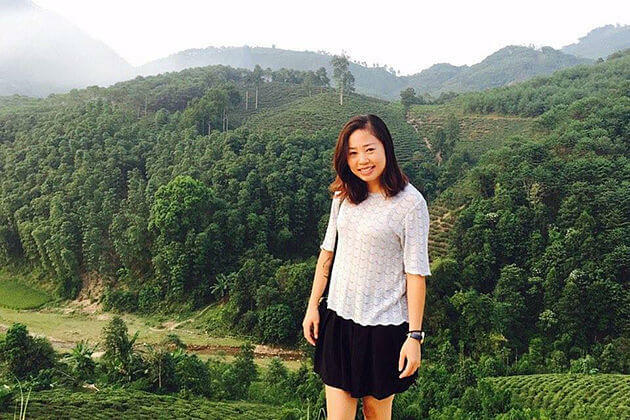 Besides, shopping and picking up souvenirs or gifts for friends and family from your Nepal tours is also a highly recommended activity when coming to such a wonderful Asia country. Don’t know what to buy in Nepal? Don’t worry! 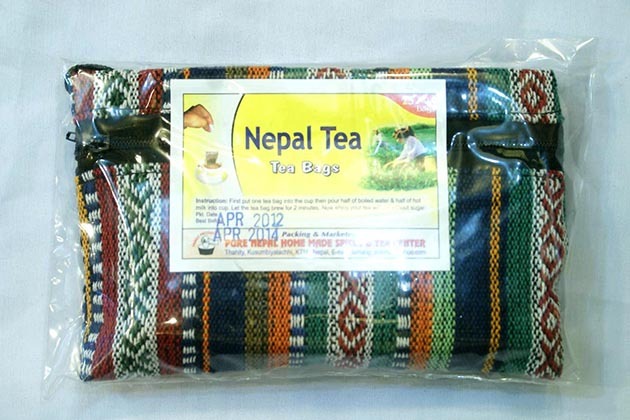 In this article, we will give you top 10 souvenirs to buy in Nepal. 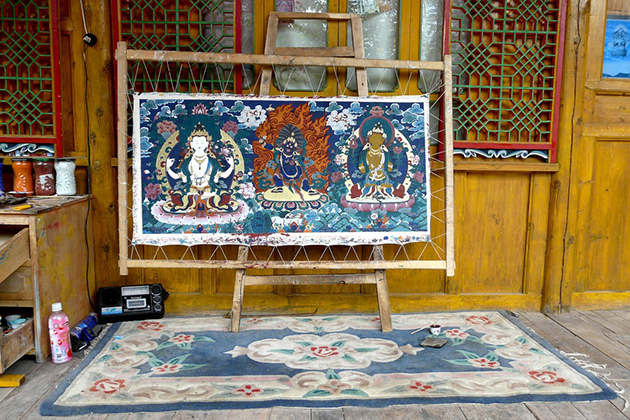 Thangka is definitely one of the most well-worth things to buy in Nepal. 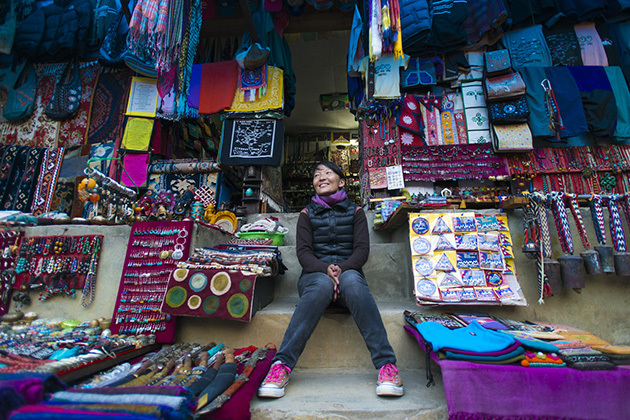 A lot of tourists come to Nepal just to find and buy Thangkas. They are Nepali traditional, hand paintings on a piece of silk or cotton canvas. It takes the artists a pretty long time to complete a painting, about six or eighteen months, depending on the added details or the size of the painting. Every painting has its own story, so ask about the story belonging to the painting you buy. Don’t forget to ask about the painting’s certification number to ensure its originality! However, customers should be aware of fake pashmina as fake products have appeared a lot in the marketplace recently. There is a famous quote I heard somewhere, “A piece of jewelry is often a piece of art. But it only becomes valuable when emotions are added to it”. 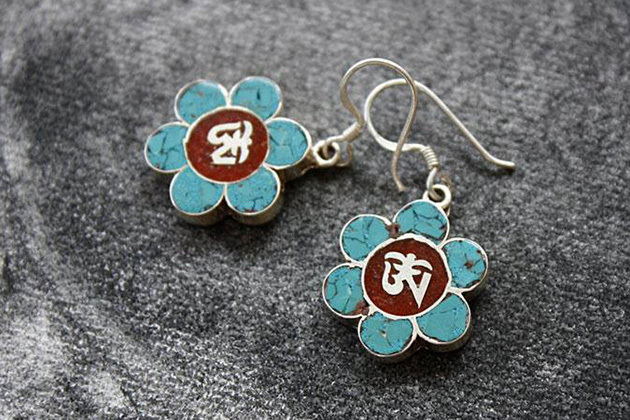 Jewelry is definitely an ideal gift to bring back home from a wonderful trip to Nepal. What can keep the memories live on better than jewelry, and also be so gorgeous at the same time?. There are many beautiful products you can find, which can be ready-made or custom-made. If you want, you can also buy beads to make your own necklaces. 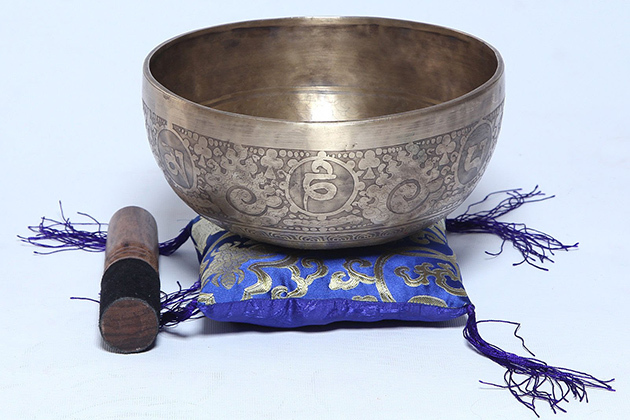 Another thing in this Nepal must-buy souvenirs’ list is Singing Bowl – a gift relating to Buddhism, often used for prayers and meditation. There is a short, wooden stick coming with this metal bowl, and this wooden stick will create a vibration and a calming sound. These bowls can be hand-made or machine-made, you are free to choose. However, the hand-made ones are simpler and cost more than the machine-made ones. 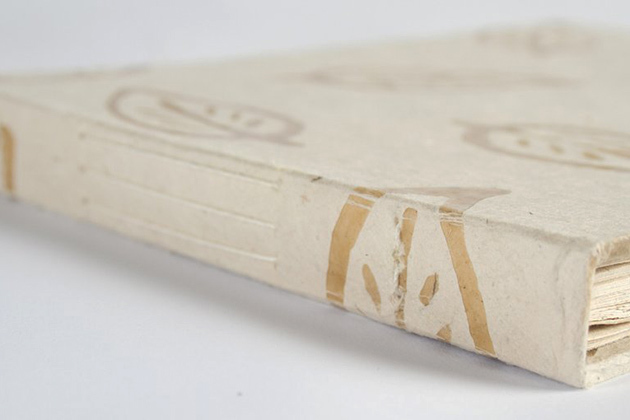 Lokta Paper, or Rice Paper, is a Nepali traditional form of paper. 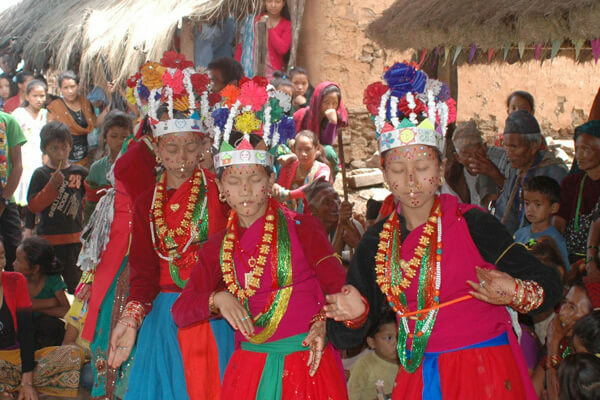 Lokta Paper is made by hands, often found in the remote areas. A lot of products can be found, such as handbags, wallpaper or photo albums. They are all made from Lokta Paper, and undoubtedly are interesting souvenirs to buy once you come to Nepal. Bagh Chal (tiger moving game) is a board game. Although it is an unusual thing to bring home, it is an interesting item which is worth buying. 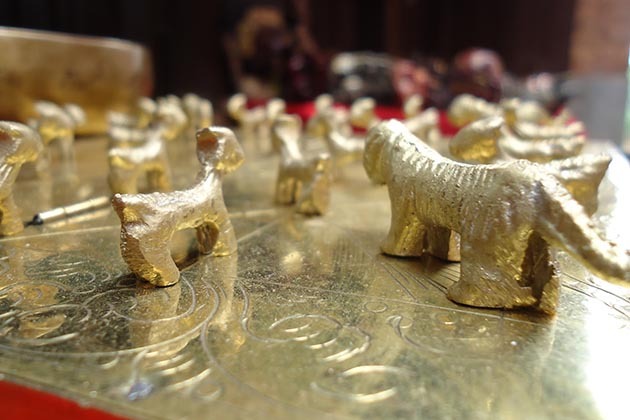 The game consists of twenty goat pieces and four tiger pieces. If the tigers eat all the goats, they win. If the goats can surround the tigers, they win. This is an interesting and fun game for family and friends, which is really easy to play and understand. The Bagh Chal, I believe, was such one of the most awesome Nepal souvenirs that I bought it immediately when I first saw it. Just like in Bhutan, why can you miss a trekking trip to Nepal? 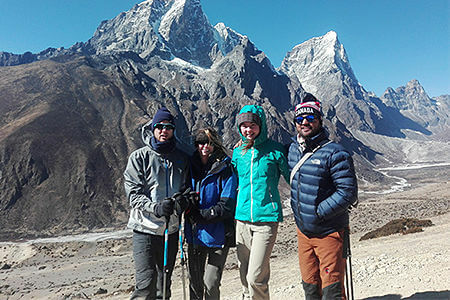 Hence, it is great to own yourself some of the trekking equipment for enjoying trekking or even you can bring them back to home as a memorable Nepalese souvenir. You will not believe, but Kathmandu is also known for its cheap trekking gears. Nepal now has local foreign brands, like The North Face, Nepali-based Sherpa or Mountain Hard Wear. Besides, local brands like Shona’s Alpine or Sonam Gears also offer great quality. Have you ever wondered whether you can find any ‘weapon’, or not, as one of the best souvenirs, among these above, from your Nepal vacation? If the answer is yes, here you are. Khukuri knives are Nepali elegant hand-made products. Khukuri knives are popularly used in every village in Nepal, and also were used by the brave and strong Gurkha soldiers. Being the national knife of Nepal, this Khukuri knife is found everywhere, and there are knives specially made for travelers as mementos to bring back home. Khukuri knife, the symbol of bravery, fearlessness and gallantry, and the symbol of love in some special occasions, is a great, unique thing to buy in Nepal. Make sure that you will pack Khukuri knives in the checked luggage! In Nepal, almost everyone invites you in for a cup of tea. Nepalis seem to be into tea a lot. There are various kinds of tea with great flavors for tourists to choose, like Masala, Oolong, Silver Tips, and Golden Tips. If you are a teaholic, then Nepal can be your tea heaven. One more tip for you – the buyers is that you shouldn’t buy tea with fruit flavors, because fruit flavors are mostly artificial. 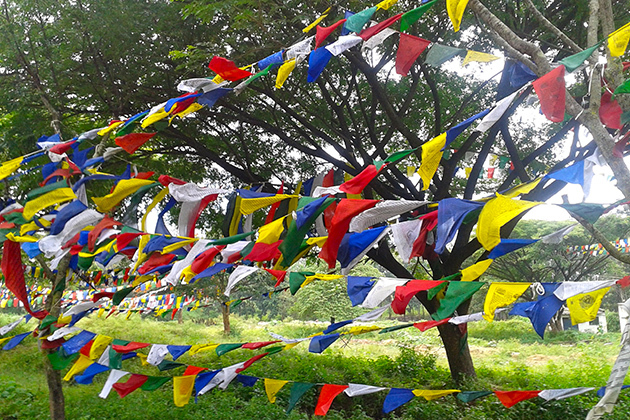 Colorful flag-lines are very noticeable at important locations in Nepal. They are Dar Cho or Tibetan Prayer Flags. These flags, having different symbols, texts and colors, stream in the wind as a way to send people’s prayers to the wind. This flag can be a lovely and ideal gift to bring home. One of the best things you can do with them is to hang them in your garden or in the rooftop, see them fluttering in the wind, and all the memories of your trip to Nepal will be kept forever. Wandering around and having your own Nepal souvenirs is an interesting activity, sure; however, it is not as simple as you think it would be. Since there are a lot of fake products in low quality flooded into the marketplace of Nepal, and you are not familiar with souvenir shopping in Nepal, here are some useful tips for you! 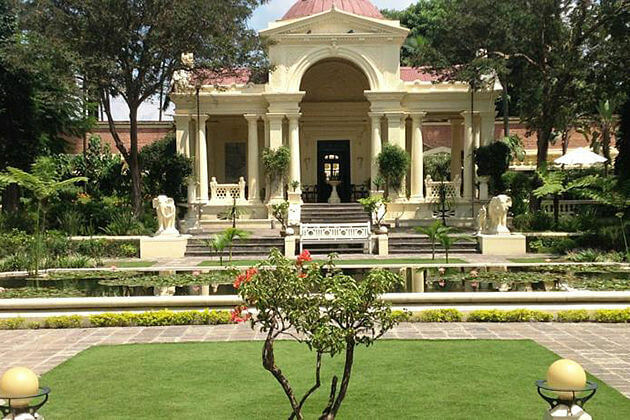 Kathmandu has experienced rapid growth, with the increasing number of stores and shopping malls. 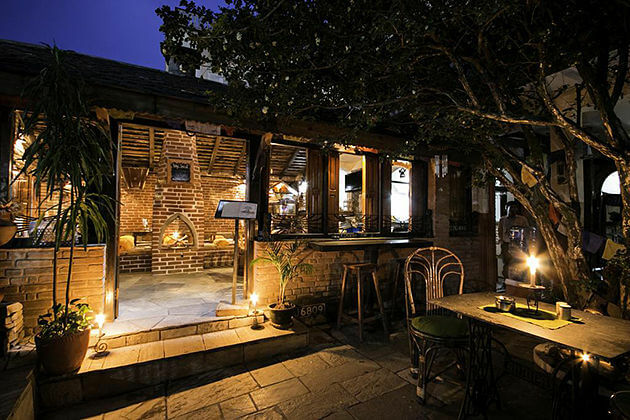 In Kathmandu, sale and discount offers are released all year round. You can find anything there, from luxurious items with high prices to handy products with cheaper and more affordable prices. If you want to look for branded products, some major malls like Sherpa Mall, Blue Bird Mall or City Centre are wonderful choices for you. Another great option is to visit the branded products’ outlets, which is located at Durbar Marg. In those places, you can find almost everything you need as they are Nepal major stores and you can buy original products, like clothes or watches. Confident of your bargaining and negotiating skill? 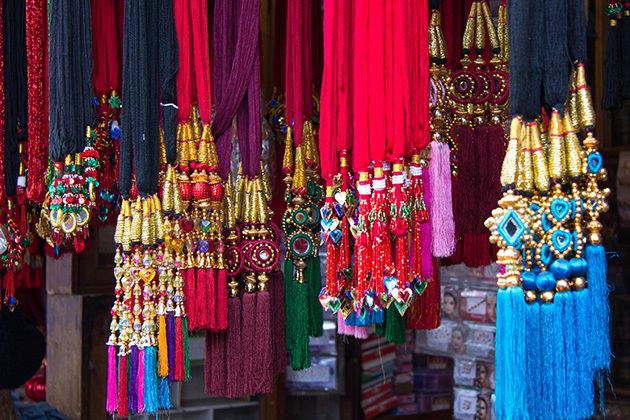 If the answer is “yes”, New Road and Thamel are ideals places for you to shop in Nepal. New Road is famous for electronic devices and Thamel is renowned for souvenirs, like local handicrafts, Pashmina shawls, mufflers, and caps. Another ideal place is the Kathmandu Durbar Square. There is a mini-market here, consisting of a variety of stalls which are set up by locals. They are often set on low tables, or blankets laid on the ground, right in front of the major ticket office for tourists. In Nepal, especially in Kathmandu where people can find most of the gifts and things they want to buy, bargaining while shopping is pretty normal. Although there are a lot of places in the world where fixed pricing is unpopular, it is still so common when shopping in Nepal. After checking the price at some shops, don’t show interest. If you see what you want to buy, show a little interest and ask the sellers the prices. Now, you got the price, and this is the time for you to leave and walk further away, to another shop and ask the seller the price of the thing that you want to buy. If it’s higher, it’s best if you can act shocked a little bit and tell them that thing is cheaper in another shop. If they ask you how much, don’t answer them and keep asking them for the price. They may answer or not. If they don’t answer, walk away. After that, they will shout out a price before you walk too far, and now you got 2 prices of the Nepal souvenir you want to buy. The third time, at another stall, once again, point to it and ask how much does it cost. They will give you a price, but you shouldn’t care about it. You need to stick with your price, which is the lower one in the two previous prices you ask, minus 25%. Stick to the price you offer, mention the first sale of the day to them. If they agree, congratulations, you have succeeded. Now, you can see if there is anything else you can buy from that stall. Some tourists take things too far. They offer a price which is much lower than the cost the seller gives. You don’t have to make bargaining become too ridiculous. After checking the cost in some different shops and one of those sellers gives you a reasonable cost, be happy. Taking things too far is not good at all since there has some sellers sell the products because they don’t have anything to eat for the day. Recently, pashmina products are faked a lot, to the point that it’s hard for you to find the real ones. Some shops even mix the authentic pashmina with the fake pashmina, so you probably need some useful tips to realize what are the real one when you shop in Nepal. People think that they will spoil their shawl or blanket if they do the burn test. However, your shawl will be okay if you just pick up one small thread from it. The process is quite simple. Take the thread, then burn it. If the product is authentic, you can smell the smell of burning hair since the product was made of the real hair. Besides, the ashes will be like powder. If you see tags or labels stuck on the Pashmina products by glue, you shouldn’t waste your time and money on those things, since they are definitely fake. You can’t stick anything on an authentic Pashmina shawl. You may think that rubbing fabric is pointless. However, if you know a little about the fundamental of rubbing, this test is pretty useful for you to decide if the scarf is genuine or fake. When the polyester or fiber fabric is rubbed, little sparks would be generated, and that’s the moment you know that your fabric is not real. Also, if your Pashmina shawl is fake, you will notice that dust is attracted to it. 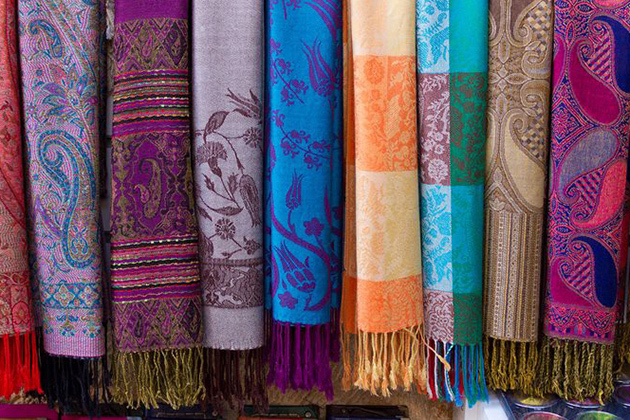 You may not believe but a Pashmina shawl’s diameter details can tell you if the product you buy is real or fake. If the diameter of the shawl is above 19 microns, do not waste your money on it. If the diameter of the shawl is about 14 to 15.5 microns, it is a real product with good quality. There is no reason for your Pashmina shawl having a bright, shiny and glow appearance since Pashmina its own is not shiny at all, and if the product you buy is glittery, there is a chance that silk fabric is added to your shawl, and of course, in this case, your shawl is not authentic.